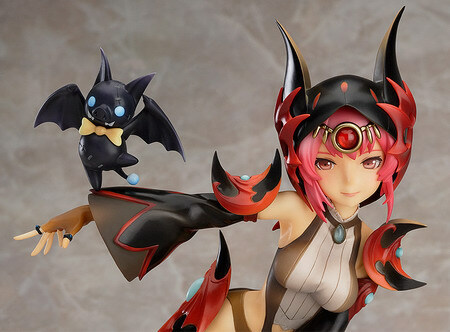 May 30th, 2013 By: GGT Category: 2013/11 release, Figure News. Good Smile Company is going to release the Sorceress ( ソーサレス ) 1/8 PVC figure from the MMORPG “Dragon Nest” ( ドラゴンネスト ). Will be released in November 2013. Around 200mm tall, 8,381 yen. This product is currently only available in China. I’m not a gamer so I really have no idea what Dragon Nest is and I don’t really care about it. But being only available in China is really something shocked me. (Oo. The beautiful sorceress with unmatched magical prowess. From the popular MMORPG ‘Dragon Nest’ comes a 1/8th scale of the popular character class, the Sorceress! The figure is based on the official image illustration used for the sorceress class. She may look a little childish on the outside, but she has a mature expression on her face, and her lovely outfit shows off her beautiful skin, creating a very charming figure for fans to enjoy! Please note that this product is currently only available in China. Please check this page again at a later stage for possible updates on other countries.